We’ve long since established that Austin, Texas is the Live Music Capital of The World, having just returned from yet another incredible musical journey to the Austin City Limits Festival. But with key acts playing later in the day and festivities ending at a reasonable hour, visitors will have an opportunity to venture out of Zilker Park to see what the rest of the city has to offer. Sure, you could hit up any number of Austin’s magnificent music venues, from Moody Theater to Stubb’s to Austin Music Hall and beyond, but for those inclined to expand their horizons a bit more we’ve put together a list of adventure spots and local haunts we’ve checked out personally. These are the Crave-approved ways to escape ACL in Austin – and have an unforgettable blast in the process. 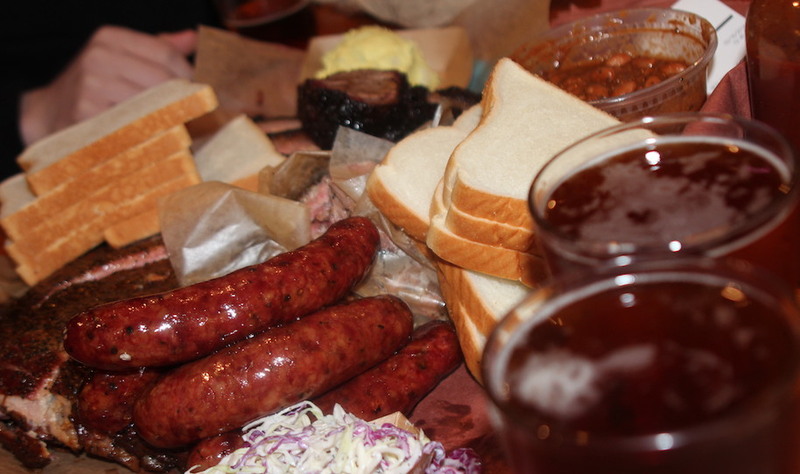 What is Austin without an overload of smoked meats? The competition is fierce around town – we’re not joking, either. Not too long ago I spoke to the Austin Mayer Lee Leffingwell about the town’s barbecue explosion, and while he went out of his way to maintain a diplomatic neutrality about his favorite barbecue spot in Austin, he assures us that “if you ask ten different people, you’ll probably get ten different opinions.” He’s right, though after belt-busting depths of research we’re going with Franklin Barbecue. 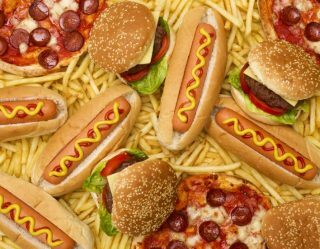 We’re drawn to any place where people are willing to wait more than two hours just for a few bites of food. 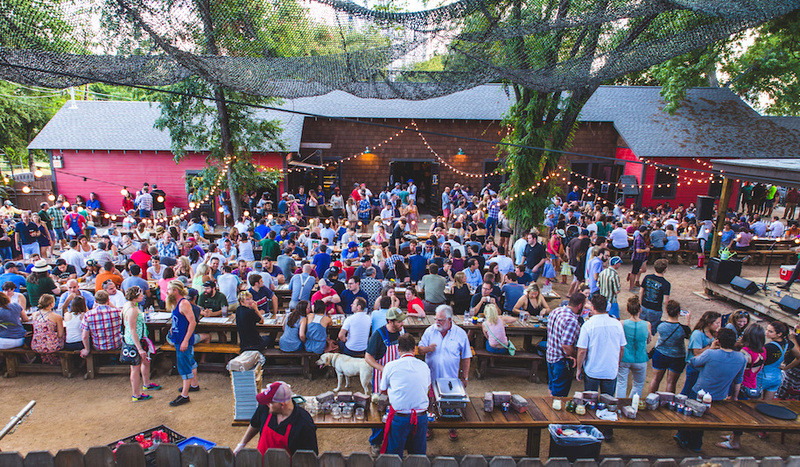 At Franklin Barbecue on East 11th Street, the line begins forming around dawn, with people waiting outside for upwards of five hours to dig into the succulent pulled pork, incredibly moist turkey, rich sausage and the best brisket you’ll ever taste. You’ll have to get there well before opening at 11 a.m. to be sure you’ll be served before they run out of food, and they most definitely will run out of food. There are even days where the lines are so long that the “Sold Out!” sign will go up in the window before the restaurant has even opened. No more corner-cutters, however – recently they’ve changed the rules to prohibit spot-holders. If you want the goods, you’ve gotta stand there yourself. 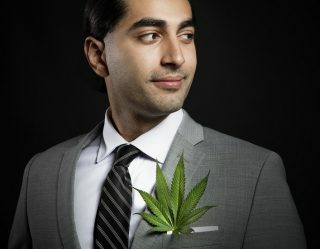 While the barbecue is second to none in Austin, the influx of progressive millennials into the area manifested a demand for artisanal and specialized culinary options that blossom beyond the niche novelty of food trucks and smoked meats. Sway is La Condesa chef Rene Ortiz’s new Thai restaurant near the intersection of South First and Elizabeth Street and is among the finest menus we’ve ever sampled. A modern design with open theater-style kitchen and communal tables to encourage family-style dining and sharing, a mercy after that incredible first bite. 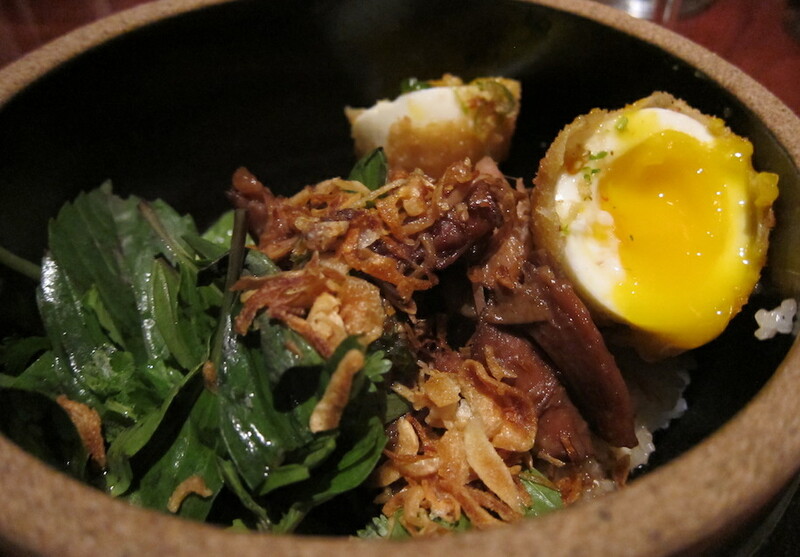 Sway takes Southeast Asian cuisine to a whole new level through unforgettable selections including our personal recommendations: wild boar ribs with sweet soy-chili glaze, betel leaf, pickled fresno chili and peanut, or the Son In Law entree comprised of a crispy farm egg, braised pork shoulder, thick soy and nahm prik pla. 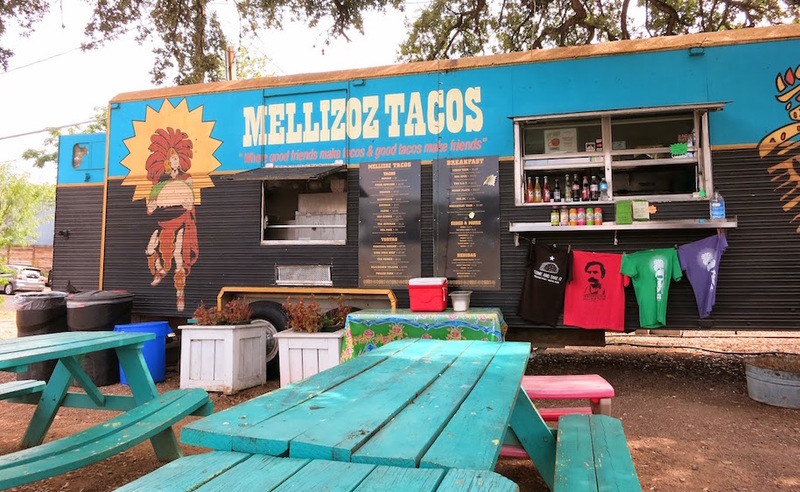 Food trucks are a beloved staple in the Austin culinary spectrum, and no place does breakfast tacos better than Mellizoz tacos on your way into town. Chorizo, egg, bacon, potato… you pick your ingredients and have ‘em double up on the sauce – trust us on this. But make sure you get there by noon, or you’ll pay .50 more per taco. East Side Showroom is great for prohibition-era cocktails and design to match, with a craft bar serviced by encyclopedic barkeeps and a pre-WWII aesthetic. Located in Austin’s rapidly growing East Side Neighborhood, the family owned restaurant and craft cocktail bar sports a bohemian spirit with local panache – they showcase local visual artists as well as live local music on weekends, ranging from jazz to blues to gypsy music. They even have a silent film projector to accent the ambiance. Bangers is an unbeatable gem in the rapidly dwindling small-vibe sanctity of the Rainey Street Historic District, with owner Ben Siegel’s vision of an “American-style beer garden” experience coming to life. 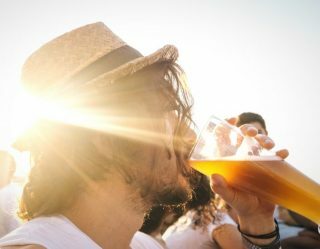 While high-rise hotels crowd the skyline more closely each year, Bangers holds the fort with a communal-seating pub where Austin’s largest tap system boasts over 100 spouts featuring local favorites, limited specialties, hand-pump cask ales and even the gluten-free drafts for those twirly mustache types. And while their beers are enough to keep you locked behind heaven’s gates for the night, their two dozen varieties of sausage and expanded menu are tremendously good as well. Every town has its own niche features that make it distinctly unique. 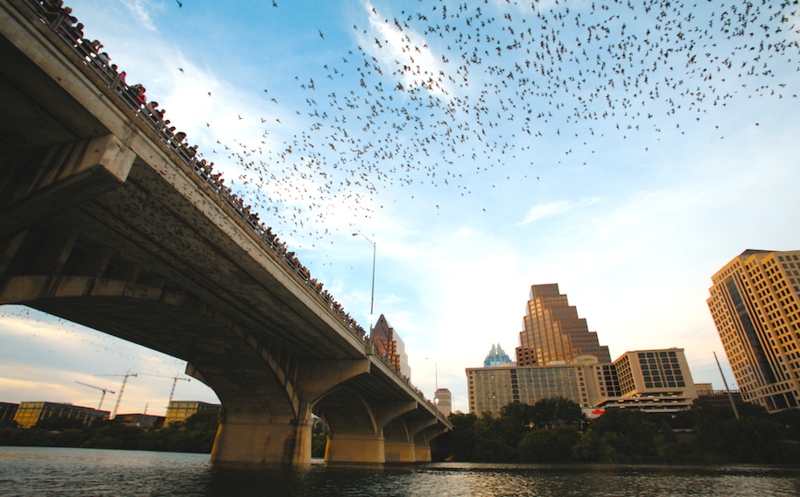 Austin’s nightly bat migration is a sightseer’s dream (or nightmare, depending on your phobia), comprised of the largest urban bat colony in North America. On Summer nights, people gather by the hundreds to see the world’s largest urban bat colony drop from its daytime perch under the Congress Avenue Bridge downtown. Nearly two million bats take flight each night, swarming out into the nearby neighborhoods to feast on 10,000-20,000 pounds of insects. No true Batman fanatic has lived until they’ve witnessed this cinematic experience firsthand. Carve some time out for a leisurely float down the river with a tube and some friends via ATXcursions. 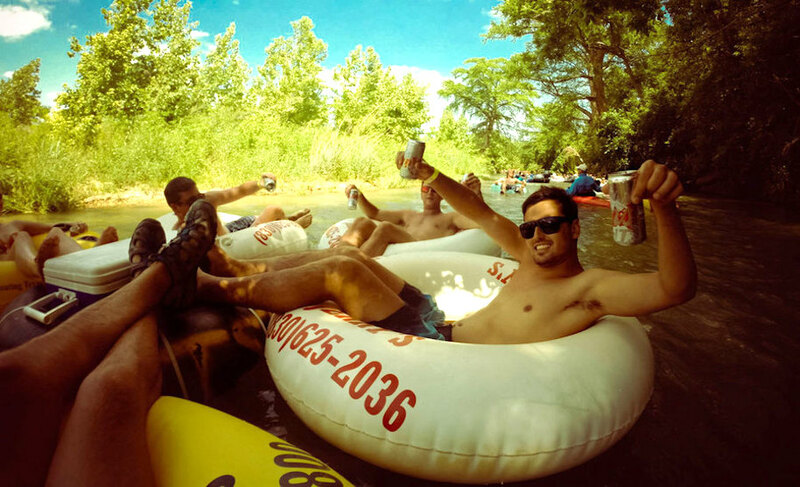 BYOB river tubing is Summertime heaven – coolers and ice included in your rental! But don’t forget the sunscreen – that Texas shine can set into a burn with a quickness. You’ll have pick up & drop off from the Austin Visitor Center downtown, a prime setup for larger parties and travelers. The Austin area has a number of beloved swimming spots, from Barton Springs Pool (on the grounds of Zilker Park) to the Hamilton Pool Preserve, a natural grotto carved out of limestone with a 50-foot waterfall. Looking for heaven? 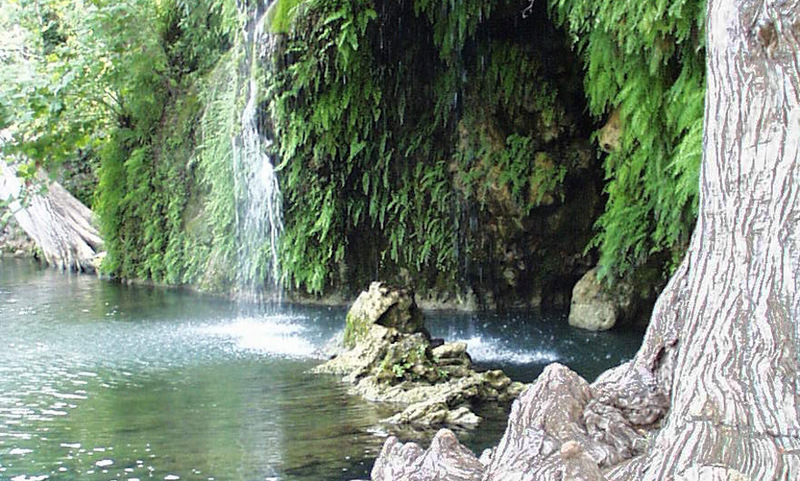 Krause Springs is a family-owned gem property in Spicewood Springs, comprised of natural spring runoff that flows via waterfall into a lagoon of a swimming hole below.